Fluoride is good for the teeth, as I understand it, the teeth become harder, however. This is common in many of the richer countries; they add Fluoride to the public water and the public benefits. However, this is not for the whole world. 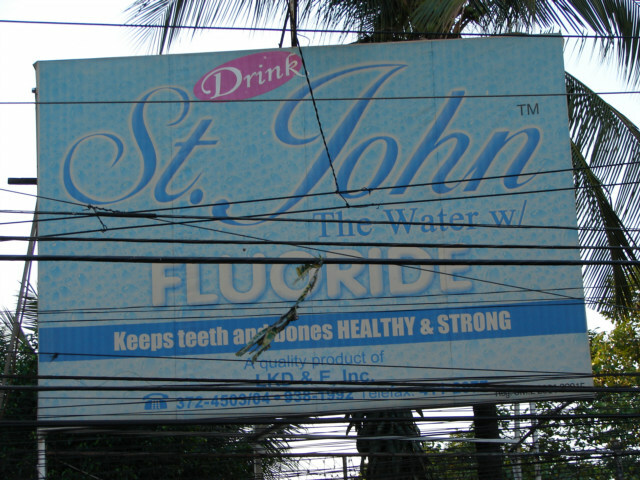 This company below St John water or purified water is adding Fluoride to bottle of purified water. I entered immediately a convenience store and tried to buy this brand of bottle water. I have yet to find the water. I am sad; I do hope this company is thriving. It the world or the United Nations, United States could convince Coca Cola to add Fluoride to their drinks the world would benefit for a very small cost.